Optimist, Janel and I rise at 4:30am, pack our few things, and head out across the wind farm hills. 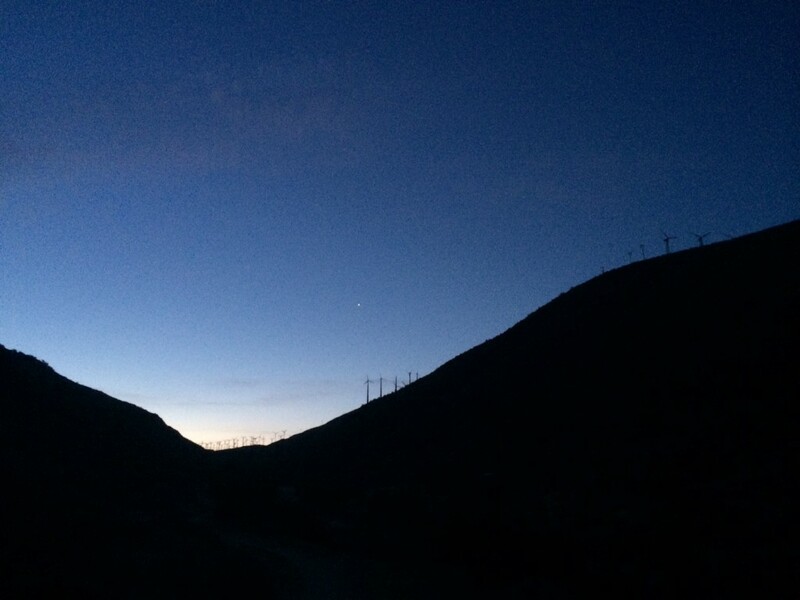 It’s mostly dark and an easy temperature for hiking. We feel refreshed and the miles go by quickly, even with full packs and the large gain and loss of elevation. Soon we’re walking through a dry creek bed – the path spelled out for us in river rocks. It’s an environment I haven’t yet encountered on the PCT. The path leads us to a cool oasis, a one-time trout farm that’s now a preserve. There are bighorn sheep keeping watch and feeding on the mountainside and it’s breezy under the sycamore trees. 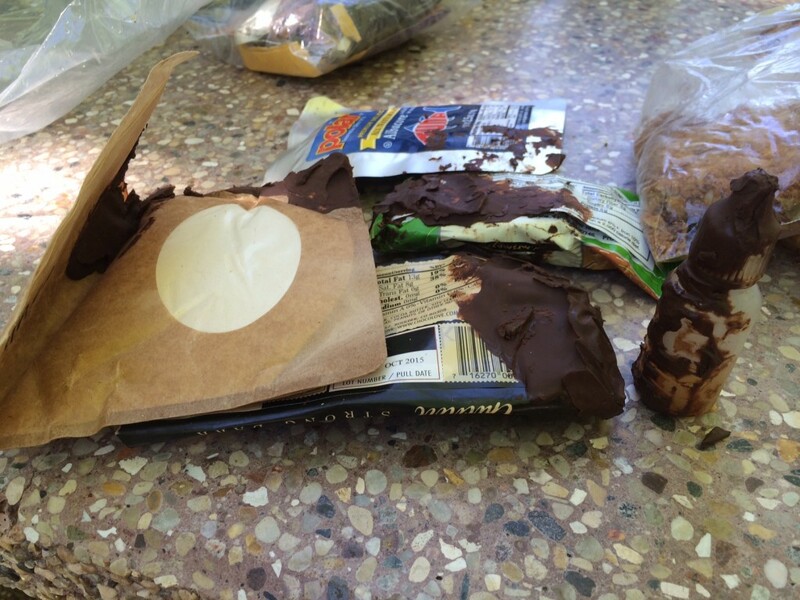 We eat second breakfast and learn that chocolate bars have no place in a food bag in the desert. After lazing and napping in the breeze, someone starts organizing their bag and, motivated by an unknown force, we’re all up and shouldering our own. 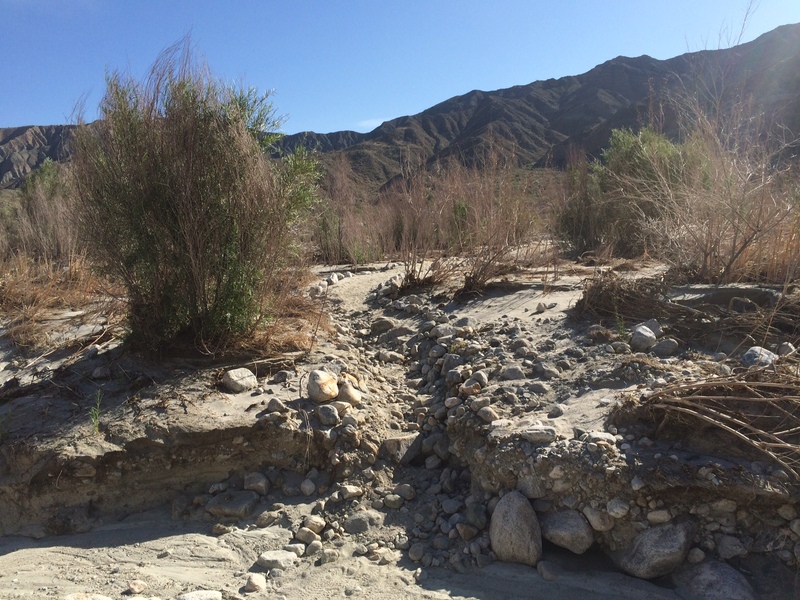 We napped out the worst heat of the day and the exposed creek bed is cooler. Soon we are following narrow paths of water to a lush site that will be our camp for the night. 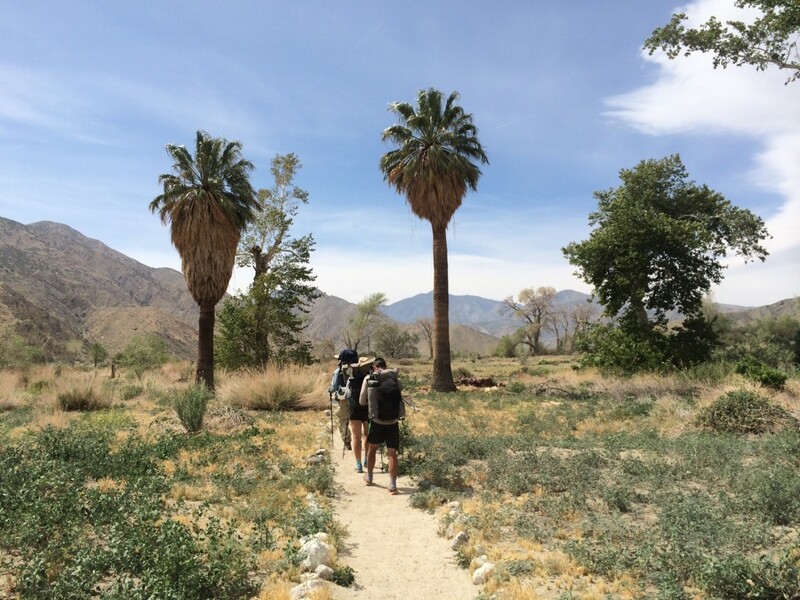 This entry was posted in Transmissions and tagged California, Hike, PCT, trail journal, White Water Preserve. Bookmark the permalink.